More video game rumors – because we could never get enough. From finding Mew beneath that darned truck to finding if Luigi is real in Super Mario 64, we gamers have always been eager to test our imaginations on what might be true, and what might become true. Rumors of an update to the Nintendo Switch hardware are entirely expected, and they make sense when you take into account the history of Nintendo. 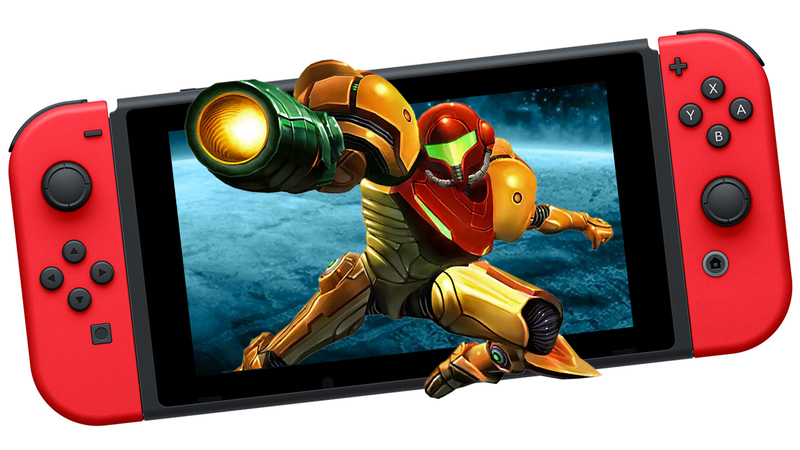 Of all the hardware developers in the video game market, none are as experienced when it comes to hardware revisions as Nintendo, especially with their handheld systems. With the evolution of games followed the evolution of systems from Nintendo, with each new release capitalizing on something new and interesting. From the Gameboy came the Gameboy Pocket, Light, and Color. The GBA had the SP and Micro, and the DS systems followed suit with just as much vigor. Given that the Switch can also operate as a handheld system, it was inevitable that hardware update rumors would persist. The question is when would expect this, and what should we predict? While the original Gameboy took 7 years to be iterated on, more modern devices have seen a much smaller gap between release and update. The 3DS line saw the 3DS XL come a mere year later, the 2DS a year after that, and the New 3DS models the following year. If this pattern persists, then we should at least expect news about potential updates to come forward in 2018, depending on how close to the chest Nintendo wants to play their cards. When it comes to what we might expect, this is a more difficult topic on which to speculate. A Lite version seems probable, given their history, but what of a direct power upgrade? Could we expect a New Switch, with greater processing power and the ability to run existing games at higher fidelity and frame rates? Could Nintendo use a decrease in cost to roll in the 3D screen from the 3DS lines, effectively bridging the gap? A recent article from Lottoland on the evolution of games notes that Nintendo has long held the reins of motion-based gameplay; today, however, the “in” thing is VR. Perhaps this next update will bring in some form of virtual or augmented reality support, in an attempt to recover the ground tested by the Virtual Boy all those years ago? This area is especially interesting because of what Nintendo could be capable of with modern technology. The Virtual Boy was hampered by such limited tech, while a modern effort from Nintendo would easily be thousands of times as powerful. We all know that an immense amount of processor power is needed with immersive VR units but Nintendo has shown us time and again that good art direction and style beat the more modern ‘cram-all-you-can’ methods any day of the week. This means that if there was ever a company who could utilize the comparatively limited specs of the Switch, then Nintendo is it. What do you think? One of the things we love about Nintendo is that you never know what the minds at their HQs are cooking up. PlayStation and Xbox updates were always going to follow a predictable path, but Nintendo has never been one to conform. With the Switch proving so popular, we have seen an influx of games that many would have thought of as unlikely. DOOM and Wolfenstein 2 certainly fit this bill. We know the indie market has started to embrace the device with open arms but what of the AAA market? Rumors of a possible Diablo 3 release on the system have recently reached a fever pitch, and we can see why. Very rarely are there fits as perfect as this pair. A new Super Smash Bros is all but inevitable, with fans already salivating over additions and potential rosters. The Resident Evil 2 Remake would also be a sought-after addition, especially for fans of more adult games, with the same being able to be said about a potential Dark Souls 3 port. It’s never been a better time to be a Nintendo fan as, in the last couple of years, they’re really back up into high gear. As the systems that carry the greatest legacy of rumors of all the major video game hardware, it’s only natural we would wonder about the future of the Switch and its games. Judging by the past performance and what Nintendo has surprised us with, we have nothing to worry about.